Truth B Told, Paul Brown on his new multi-faceted Woodward Avenue Records release is pushing the envelope where few contemporary jazz artists dare to go these days. A decade into his solo career  which began with the 2004 release of Up Front and includes his 2012 Woodward Avenue collection The Funky Joint - the two time Grammy Award winner masterfully sets a high bar for his genre by digging deeper into soul and blues, playing his 1963 Gibson Johnny Smith L-5 edgier and with more abandon - and bringing the freewheeling creative spirit of bands like The Crusaders and Steely Dan into an exciting modern context. For more than two decades, beginning with saxophonist Boney James debut Trust in 1992, Browns dynamic R&B driven sound behind the boards has set the standard for the urban jazz format and made him the genres top producerwith over 60 #1 radio airplay hits combined as a solo artist and with other artists. 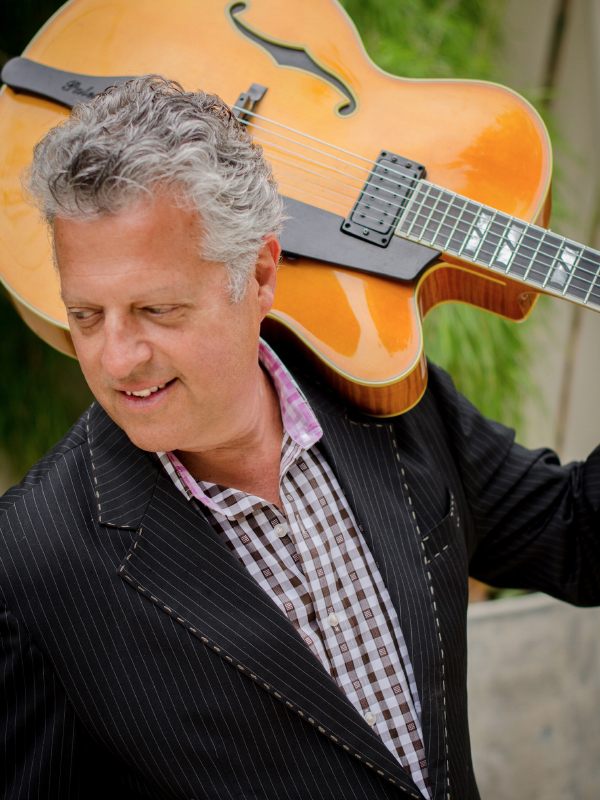 The guitarist and composers dynamic new ten track set features performances from many of the artists hes produced and/or played with over the years, including saxophonists Darren Rahn, Richard Elliot, Euge Groove and Dave Koz, plus Najee on flute. Legendary trumpeter and arranger Greg Adams works his trademark horn section magic on several tracks, including the first single Take It From Me. Truth B Told also features some of the final sessions of drummer Ricky Lawson, who passed away in December 2013. Brown also enjoys a closing jam trying on some blistering and funky Purple Shoes with his longtime friend and chief inspiration, guitar legend Larry Carlton. The two, who began working together over a decade ago when Brown produced LCs album Fingerprints, are excited about new collaborations after recently performing in tandem at the Clearwater Jazz Festival. Once again enjoying the opportunity to showcase his bluesy voice, Brown creates a spirited vocal interplay with renowned R&B singer Wendy Moten on Love N Trust. The guitarist recently produced her Woodward Avenue Records debut Timeless: Wendy Moten Sings Richard Whiting, celebrating the legacy of a 20th Century songwriting giant. Brown has been in typical career overdrive since the release of The Funky Joint in 2012. In addition to scoring #1 radio hits with that albums title track and Backstage Pass, he also scored two #1s (Got To Get You Into My Life, I Feel Good (I Got You)) as the producer of Dave Koz & Friends Summer Horns, an all-star band project featuring Mindi Abair, Gerald Albright and Richard Elliot that received a Grammy nomination for Best Pop Instrumental Album. Brown mixed the new set from Groove, and also produced the upcoming album by Elliot, as well as an emerging singer named Melina, who is signed to Woodward Avenue Records. In 2006, the multi-talented performer had the unique experience of scoring #1 Radio & Records chart hits as both an artist and producer. Winelight, the second single from his sophomore album The City, was ranked by Mediabase as the genres most spun track of that year. Radio & Records and Mediabase declared The Rhythm Method, the first single from Browns third release White Sand, the most played song of 2007. The title track from saxophonist Jessy Js Brown-produced debut Tequila Moon earned the same distinction for 2008. Foreign Exchange, a dual collection with acoustic guitarist Marc Antoine, was a Top Ten hit on the Billboard Contemporary Jazz Chart in 2009. Brown followed this with Love You Found Me, a Top 20 album that featured more of the guitarists soulful lead vocals than ever before. He earned a nomination for Best Vocalist at the 2011 Canadian Smooth Jazz Awards, where he had the opportunity to sit in with Carlton. The Los Angeles born and raised Brown dedicated The Funky Joint to his parents, professional singers for legends like Mel Torme (as part of The Meltones), Frank Sinatra, Elvis and Barbra Streisand.